Well here we are…finally, at the end of my retrospective look back at Pac-Man’s entire 35 year gaming life. If you have managed to make it through my Pac-Man game overview as well as my Happy Birthday bio and even managed to get through the whole multipart retrospecive…well done and thank you for reading. Here in this final part, I just want to give mention to some of the other games I didn’t cover in the main retrospective. That just about covers every official appearance from Pac-Man aside from a few pinball machines that also featured Pac-Man. Well, it’s been a long journey (and a long read/write). From 1980-2015, Pac-Man was the original gaming mascot that is still relevant, known and referenced even today. 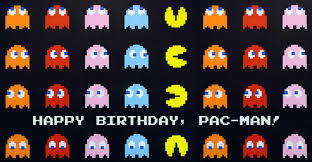 This ends Pac-Man’s 35th Birthday celebration on LBoG&M…and this also just so happens to be my 50th post. It’s been a great 35 years with great games as well as not so great games. Pac-Man has appeared in various gaming genres from the simple maze running of the original, to platforming, to adventure games…and even a trivia based game. 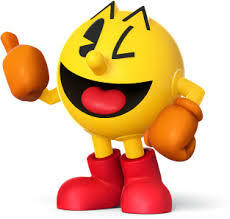 Thanks for the memories Pac-Man. This entry was posted in LBoG: Retrospectives and tagged Arcade games, Game retrospectives, LBoG: Retrospectives, Little bits of gaming, Pac-Man, retro gaming, Retro gaming blog on 22/05/2015 by Steve Perrin.